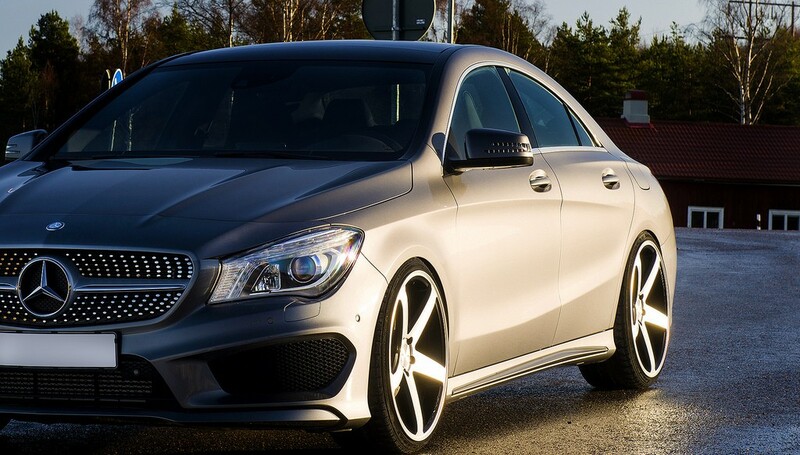 Since its introduction to Europe in April 2013, the Mercedes CLA has proved very popular with buyers. The CLA class has gone down well in the US too, since its launch there later the same year. So it’s unlikely that our car scrappers are going to receive many calls of the ‘I want to scrap my Mercedes CLA’ variety at present. But it’s a fact of life that any vehicle can be badly damaged in an accident. If that happens to you, then you could well be in a ‘scrap my car’ situation, with your Mercedes CLA left beyond repair. The CLA features the company’s new design theme, which is also found in higher value Mercedes models. With the entry model available for less than £30,000, it’s a much more affordable car for those for whom a Mercedes will always top the wish list. The CLA seems to appeal to the young and the young-at-heart in equal measure. Several engine sizes are available, both petrol and diesel, and there is the option of manual or automatic transmission in this range of compact executive cars. For 2015, there is a new shooting brake too. The new first-time buyer probably doesn’t envisage the Mercedes CLA as a typical candidate for a ‘scrap my car’ call in the near future. Updated infotainment with large central screen and head unit with iPhone interface. Self Park feature is unreliable. It may be a sales success, but reliability ratings are poor. A 2014 UK Survey found the Mercedes CLA was 140% less reliable than the average car – bad news for manufacturer and buyer. Some of these faults are merely annoying, but they could, over time, contribute to some owners looking to scrap this car. So if, further down the line, you are pulling out your hair and begging to ‘scrap my Mercedes CLA now’, or if yours has been involved in an accident, call Scrap Car Kings on 07944 495495 or use our online form for a free no-obligation quote.